If you’re an Android user, Android TV is a great way to bring your mobile OS (and your favorite apps) to the big screen. And if you’re looking to get more from your Android TV box, this is a collection of few tips and tricks to help supercharge your experience. 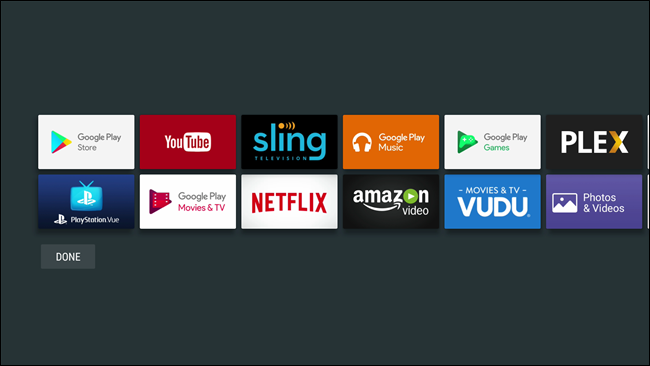 RELATED: What Is Android TV, and Which Android TV Box Should I Buy? If you’re really looking for more information on Android TV (and which box you should buy), this post probably isn’t for you…yet. First, I’d take a look at what Android TV is all about, along with a few recommendations of some of the best Android TV boxes on the market right now. Then, come back here and get started tweaking. Use the “select” button to drop the icon. That’s all there is to it. If you want a more in depth look at re-arranging home screen icons, check out our primer. 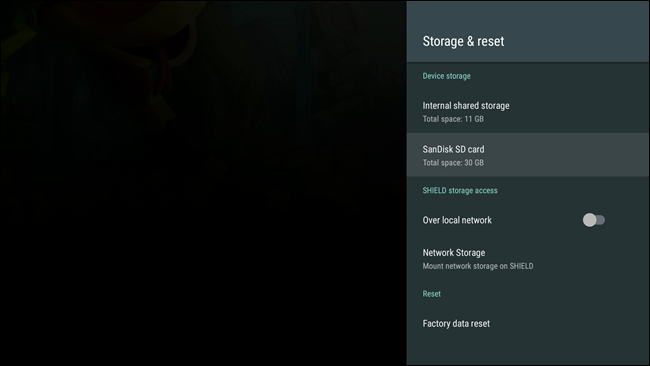 If there’s one negative thing to say about most Android TV boxes, it’s that they don’t have enough internal storage. Fortunately, you can use an external hard drive on most Android TV boxes to add more storage, or even an SD card on certain models to make the expansion process even easier. Unfortunately, there isn’t a blanket method here—it all depends on what your device support. The good news is that we have an excellent tutorial on adding an external hard drive to your Android TV unit, so you shouldn’t have any issues there. And if your device has an SD card slot, well, just drop one in and format it as internal storage using the bottom half of the above tutorial. Boom. One of the nicest thing about Android is the flexibility to install available apps outside of the official store—this is called “sideloading.” While it’s super straightforward on Android phone and tablets, it’s a little more convoluted on Android TV. 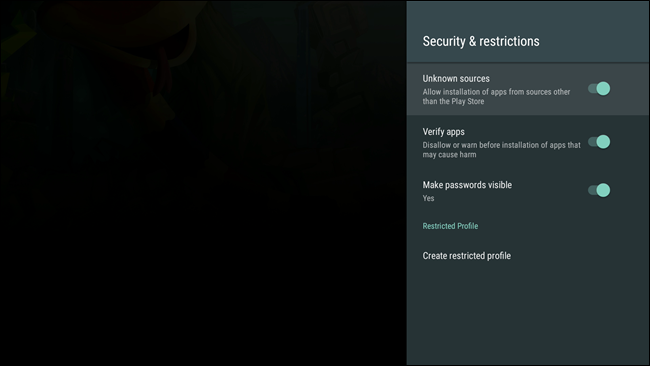 In short, you’ll need to head to Settings > Security & Restrictions to enable “Unknown Sources”, then install ES File Explorer from the Play Store. From there, you can grab APK files from your Dropbox or Google Drive folder and install them right on your TV. Check out our full tutorial for the complete step-by-step. If you really want to supercharge your Android TV, there’s no better way to do that than using Kodi. While the app itself is under constant scrutiny for being labeled a “piracy application,” it’s actually a very powerful, legitimate media center application that can turn your Android TV unit into something good to something great. While we don’t have a post specifically geared towards Android TV, Kodi is basically the same across all compatible devices. 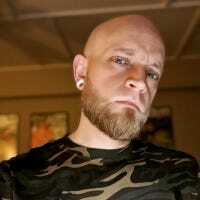 You can install it directly from the Play Store, then use this post to learn about its add-on system. 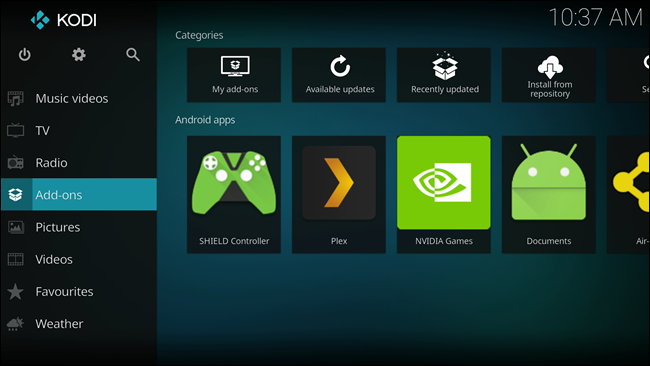 As an aside, you can also set SHIELD Android TV up as a Plex Media server, which is very cool. 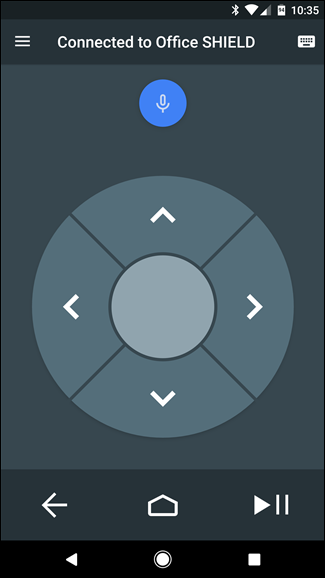 One of the main reasons I prefer Android TV over Chromecast is because of its dedicated remote control—I just like being able to control it in a more traditional way. If you don’t have your remote handy, or it gets lost or broken, however, you’re not totally out of luck—you can actually control Android TV directly from your phone. 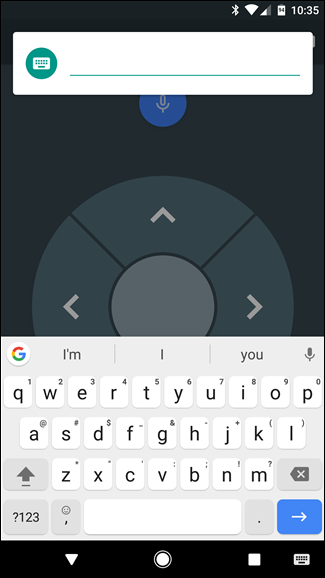 Simply install the Android TV Remote Control app on your phone, fire it up, connect to your Android TV box, and bam, you just got a new remote. This is also a great way to input larger strings of text using your phone’s keyboard. You’re welcome. This definitely isn’t a be-all-end-all list of the cool and useful things you can do with Android TV, but rather a shortlist of some of the most useful features for both long-time and new users. In other words, if you’re looking to up your Android TV game, these tips are a great place to start.